It can be exciting to start a new flock of chickens, and the benefits – entertaining pets, unique company, fresh eggs and healthy meat – are equally exciting, but it is important to start the flock carefully so your poultry will be happy in their new home. Happy chickens suffer less from behavioral and health problems, and everyone who keeps chickens should take steps to be sure they start their flock the right way. 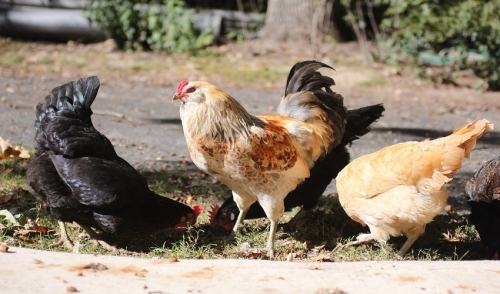 While keeping chickens is not usually a problem in rural communities, urban and suburban areas may have different regulations that prohibit barnyard poultry or regulate flock size and composition, such as prohibiting roosters. Check your local restrictions, including those for any homeowners' association, before committing to a flock. All chickens aren't the same, and there is an astonishing array of sizes, colors, and other characteristics available to choose from. Learn which breeds may be better egg-layers or may be best for meat, study their personalities, and investigate lifespans so you can choose the best chickens to meet your expectations. Before you bring chicks home, be sure you are set up to meet their housing, food, and water needs. A sheltered coop is essential, as well as adequate space for scratching, foraging, perching, and roosting. Have the proper feed available along with kitchen scraps and other nibbles they will enjoy, and provide a fresh, clean source of water for chickens to access. When you're ready to bring the birds home, you can visit local farm stores for day-old chicks or juvenile birds, or a local farmer or another chicken fan may have older hens to sell. Online retailers may also offer chicks for sale. Incubating your own eggs is another option if you have a proper setup and time to care for the eggs properly. Be prepared for the hazards your flock may face, and be sure their pen and coop are protected from outdoor cats, foxes, coyotes, snakes, hawks, and other predators. Learning the signs of disease and pest infestation can help you protect your birds from those threats as well. Chickens are social birds that require interaction and entertainment. There are toys you can offer your chicks or you can plan other ways to keep chicks entertained, and they will be happy to see you as well. A well-socialized flock will produce more eggs and will stay healthier, and you're as much a part of your flock as any individual bird. Keeping chickens can be a rewarding experience, and if you get your flock started properly, you'll enjoy more benefits from every bird. 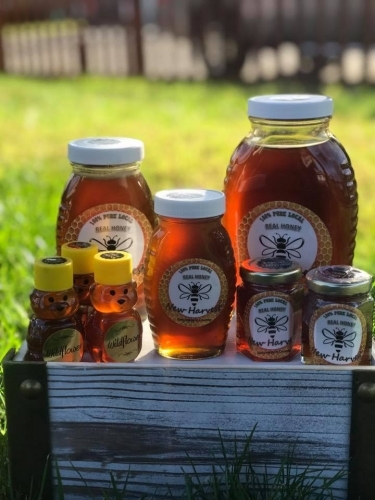 We now have local honey! It is perfect to help alleviate Springtime allergies, plus it tastes amazing! This honey is from the Manteca-Tracy area. Not valid with any other discounts or sales. 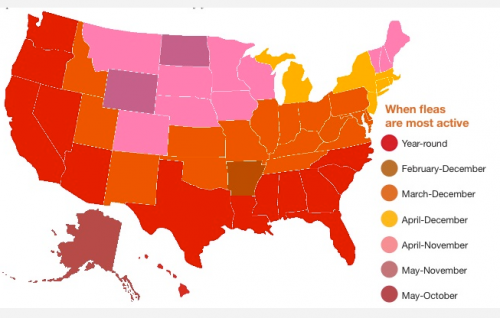 Flea-and-Tick Season? Protect your Pet! Although fleas and ticks pose a threat to pets year-round, they become most active during the warmer months, starting as early as March in some areas of the United States. © 2019 Farmers Feed and Pet Supply. All rights reserved.